How Does a Global Positioning System (GPS) Tracking System Works? GPS or Global Positioning System is a satellite navigation system that furnishes location and time information in all climate conditions to the user. 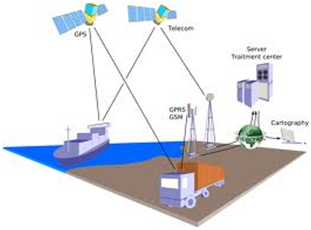 GPS is used for navigation in planes, ships, cars and trucks also. 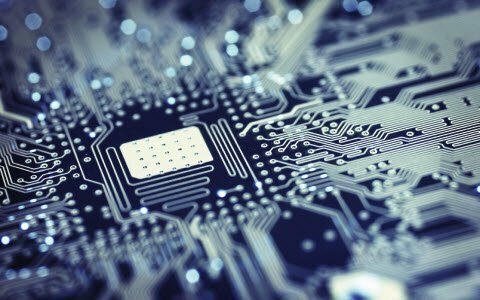 The system gives critical abilities to military and civilian users around the globe. GPS provides continuous real time, 3-dimensional positioning, navigation and timing worldwide. 3) The user segment, which includes both military and civilian users and their GPS equipment. The space segment is the number of satellites in the constellation. It comprises of 29 satellites circling the earth every 12 hours at 12,000 miles in altitude. The function of the space segment is utilized to route/navigation signals and to store and retransmit the route/navigation message sent by the control segment. These transmissions are controlled by highly stable atomic clocks on the satellites. The GPS Space Segment is formed by a satellite constellation with enough satellites to ensure that the users will have, at least, 4 simultaneous satellites in view from any point at the Earth surface at any time. The control segment comprises of a master control station and five monitor stations outfitted with atomic clocks that are spread around the globe. The five monitor stations monitor the GPS satellite signals and then send that qualified information to the master control station where abnormalities are revised and sent back to the GPS satellites through ground antennas. Control segment also referred as monitor station. The user segment comprises of the GPS receiver, which receives the signals from the GPS satellites and determine how far away it is from each satellite. Mainly this segment is used for the U.S military, missile guidance systems, civilian applications for GPS in almost every field. Most of the civilian uses this from survey to transportation to natural resources and from there to agriculture purpose and mapping too. 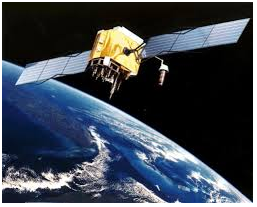 The working/operation of Global positioning system is based on the ‘trilateration’ mathematical principle. The position is determined from the distance measurements to satellites. From the figure, the four satellites are used to determine the position of the receiver on the earth. The target location is confirmed by the 4th satellite. And three satellites are used to trace the location place. A fourth satellite is used to confirm the target location of each of those space vehicles. Global positioning system consists of satellite, control station and monitor station and receiver. The GPS receiver takes the information from the satellite and uses the method of triangulation to determine a user’s exact position. To determine position locations; for example, you need to radio a helicopter pilot the coordinates of your position location so the pilot can pick you up. To navigate from one location to another; for example, you need to travel from a lookout to the fire perimeter. To create digitized maps; for example, you are assigned to plot the fire perimeter and hot spots. To determine distance between two different points. GPS satellite signals are too weak when compared to phone signals, so it doesn’t work as well indoors, underwater, under trees, etc. The highest accuracy requires line-of-sight from the receiver to the satellite, this is why GPS doesn’t work very well in an urban environment. A compass and a map. Knowledge about the memory capacity of the GPS receiver to prevent loss of data, decrease in accuracy of data, or other problems. An external antenna whenever possible, especially under tree canopy, in canyons, or while driving. A set up GPS receiver according to incident or agency standard regulation; coordinate system. Notes that describe what you are saving in the receiver. There are many sources of possible errors that will degrade the accuracy of positions computed by a GPS receiver. The travel time taken by the GPS satellite signals can be changed by atmospheric effects; when a GPS signal passes through the ionosphere and troposphere it is refracted, causing the speed of the signal to be different from the speed of a GPS signal in space. 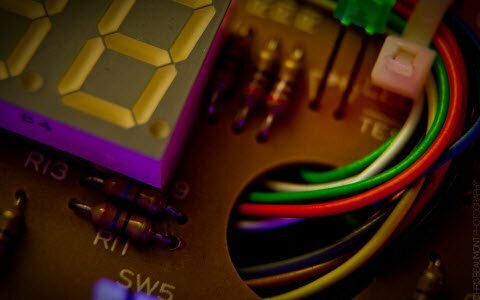 Another source of error is noise, or distortion of the signal which causes electrical interference or errors inherent in the GPS receiver itself. The information about satellite orbits will also cause errors in determining the positions, because the satellites are not really where the GPS receiver “thought” based on the information it received when it determine the positions. Small variations in the atomic clocks on board the satellites can translate to large position errors; a clock error of 1 nanosecond translates to 1 foot or .3 meters user error on the ground. A multipath effect occurs when signals transmitted from the satellites bounce off a reflective surface before getting to the receiver antenna. 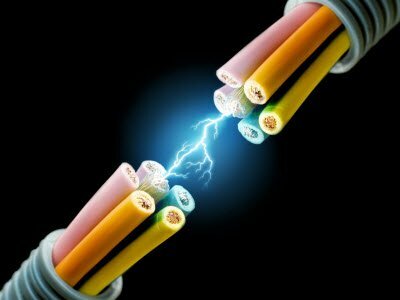 During this process, the receiver gets the signal in straight line path as well as delayed path (multiple paths). The effect is similar to a ghost or double image on a TV set. Satellite geometry can also affect the accuracy of GPS positioning. This effect is refers as Geometric Dilution of Precision (GDOP). Which is refers to where the satellites are in related to one another, and is a measure of the quality of the satellite configuration. It can be able to modify other GPS errors. Most GPS receivers select the satellite constellation that will give the least uncertainty, the best satellite geometry. GPS receivers usually report the quality of satellite geometry in terms of Position Dilution of Precision, or PDOP. PDOP are of two types, horizontal (HDOP) and vertical (VDOP) measurements (latitude, longitude and altitude). We can check the quality of the satellite positioning the receiver is currently available by the PDOP value. A low DOP indicates a higher probability of accuracy, and a high DOP indicates a lower probability of accuracy. Another term of PDOP is TDOP (Time Dilution of Precision). TDOP refers to satellite clock offset. On a GPS receiver can set a parameter known as the PDOP mask. This will cause the receiver to ignore satellite configurations that have a PDOP higher than the limit specified. Selective Availability occurs when the DOD intentionally degraded; the accuracy of GPS signals is introducing artificial clock and ephemeris errors. During the implementation of SA, it was the largest component of GPS error, causing error of up to 100 meters. 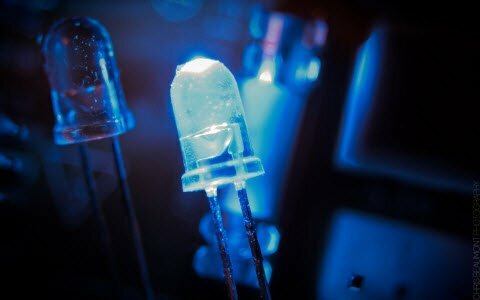 SA is a component of the Standard Positioning Service (SPS). Please follow the link: https://www.edgefxkits.com/vehicle-tracking-by-gps-gsm for details. Please check the user friendly website http://www.edgefxkits.com for complete details in the kit content section and go through the FAQ for details. Please call the toll free no. 1800 108 7475 for clarifications/personal counseling. i want that you post and mail me some basics of telecom. 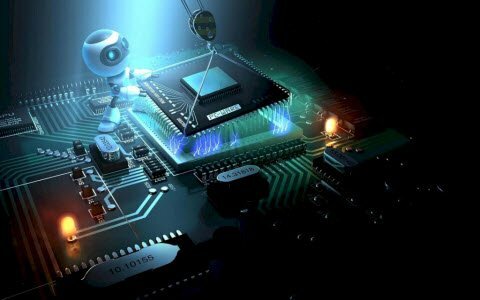 To increase your knowledge in electronics and for free circuits you can register on the blog https://www.elprocus.com so you get all the updated information in your mailbox and many such blogs on electronics. Dear Divya, We have sent a mail to you with complete details about requirement, please check and ask me if you have any doubts. Thank you. Thank you so much for your comment jibby. 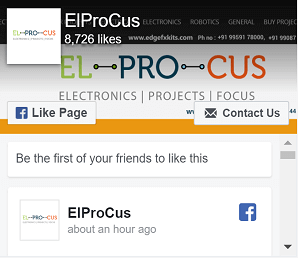 Please like us at facebook to get regular updates about electronics.